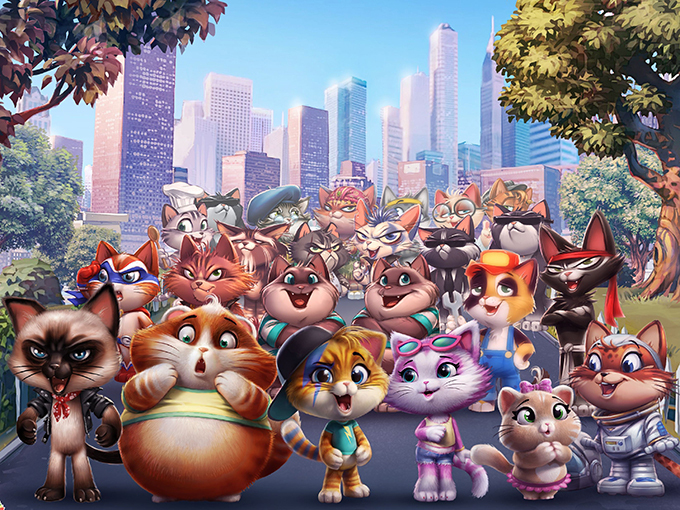 Producing with Bardel for the first time since it acquired the Canadian animation studio in 2015, Italy’s Rainbow brings series 44 Cats to life. 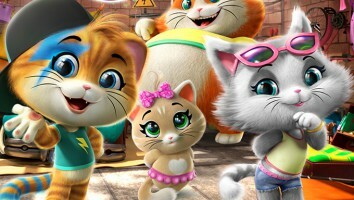 Telling a story through the eyes of anthropomorphic pets is not a new idea, but taking a popular Italian song and adapting it into a series is certainly novel. And that’s just what Italy’s Rainbow has done with its latest production, 44 Cats. It marks a few firsts for the company behind girl-skewing IPs like Winx Club—an entry into preschool programming and its first production with Canadian animation studio Bardel, which Rainbow acquired in 2015. Straffi says his company was casting around for ideas when it decided to option “44 Cats” or “Quarantaquattro Gatti,” a children’s song made popular after it was first broadcast on Italian singing competition series Zecchino d’oro in 1968. But it wasn’t until Universal’s The Secret Life of Pets grossed more than US$875 million worldwide in 2016 that Straffi knew the story would work for international audiences. Currently in production, the 52 x 11-minute series follows a group of felines that act like humans when no actual humans are around. 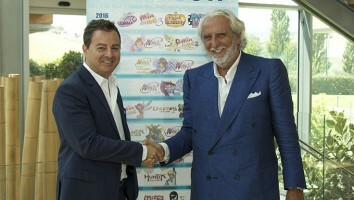 Italian broadcaster RAI is on-board as a co-producer and will premiere the series in fall 2018. True to its musical roots, pop-rock songs will be employed to help teach preschoolers tolerance, diversity and social-emotional skills. 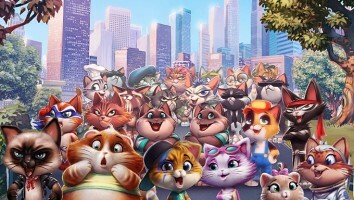 As for Bardel, which has forged its reputation doing animation service work for companies like Nickelodeon, DreamWorks and Disney, 44 Cats marks the first time it’s been involved in a Rainbow production. 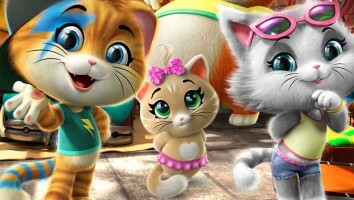 Rainbow is currently in talks with consumer products partners for the project, and plans to announce toy and publishing deals before the end of the year, while it continues to sell the series worldwide.